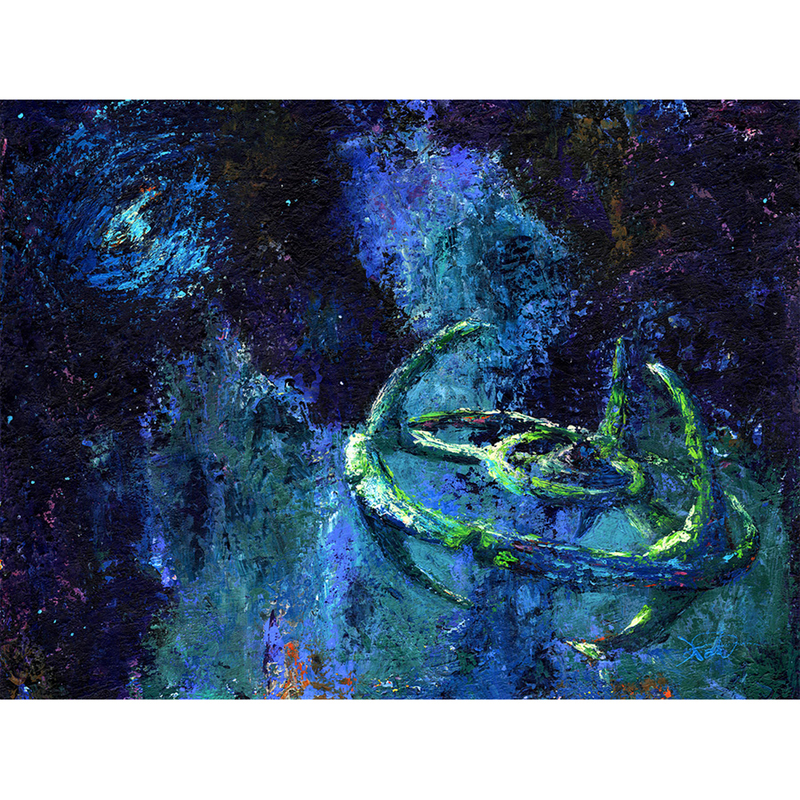 “Terok Nor” (the name by which Cardassians knew Deep Space Nine) is 18x24” and depicts the DS9 space station poised in the foreground with a hint of the stable wormhole in the distance, all within the artist's signature style of modern impressionism. Printed on heavyweight, acid-free coverstock. By artist Jeff Foster from Bye Bye Robot.